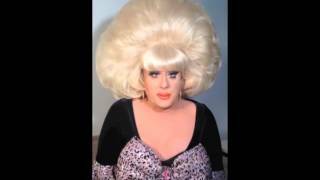 CHARO'S SHOUT OUT TO LADY BUNNY! 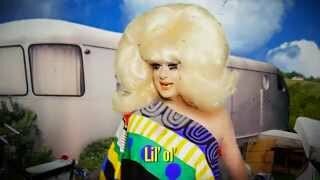 Here's a performance from Wigstock 2004. In case you are wondering why I'm lip-synching to my own voice, it's because I often lost my voice at Wigstock running around as organizer, emcee and performer, so it was just a safeguard. I opened the taping of the Season 4 finale in LA with a Laugh-In-style joke routine and a few digs at the queens from other seasons. Here's my cheesy parody of Like A G6 which is also an ode to foreskin. 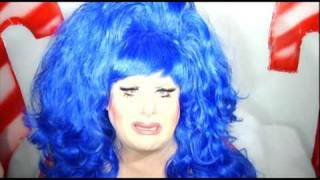 Joan was kind enough to record this video roast for my 50th birthday roast at XL nightclub in NYC. What a treat from a comic genius! I was so moved when we lost Joan that I created this heartfelt tribute to her. Home decor guru Jonathan Adler designed a Lady Bunny vase. So we met up to talk about style, inspiration and perform a little "fashion" montage. We had so much fun shooting this upstate with director Steve Willis. With Lavinia Co-op, Sugga Pie Koko and Shealita Babay. This is the official video for a song I wrote and recorded. Released on Lybra Records, the song hit #17 on the Billboard Dance charts. Directed by Steve Willis. Had to poke a little fun at my sisters! Love Cher, but this movie was so awful that it deserved a parody! This is an updated version of the country comedy classic by Connie Vannett. 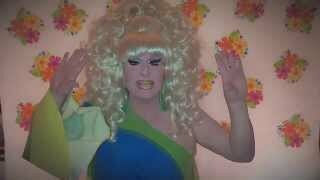 A Chattanooga drag queen named Daisy Dalton (R.I.P.) turned me on to this gem. It was her signature song. Ellen shot me for Candy Magazine at Beauty Bar in NYC. Bartender played by Billy Erb. Wedrock was a benefit for gay marriage which featured Lou Reed, Margaret Cho, John Cameron Mitchell and even me, shrieking out my ear-piercing live version of Kate Bush's classic. I guess I was dreaming of a white Christmas and I got one! ACT UP and GMHC founder, author and playwright Larry Kramer is one of my heroes, so it was an honor to chat with him for the series In The Life which aired in NYC on Channel 13. The latina spitfire is one of my idols. And such a sport to make this adorable video for me! The kooky video that introduced the world to super stud Miles Davis Moody. In 2014, I DJed at the Faena Gallery in Buenos Aires for a three-day, roller disco-themed art exhibit by assume astro vivid focus. We had a blast joining Derek & Romaine on their Sirius OUTQ broadcast and here is the entire interview. I think Bianca and I need our own show, don't you? 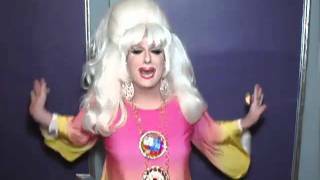 I used Jeannie c. Riley's Harper Valley PTA to take a few swings at Sarah Palin when she was at her height. My parody of Mariah Carey's beloved holiday classic. This dirt-cheap video was filmed by Flotilla Debarge! I couldn't resist a few pot shots at the new pope! We discuss RuPaul's Drag U and other nonsense.